Vaser liposuction is a specific liposuction technique, used to reshape the body and provide a more toned appearance. The procedure can be executed in both men and women. Dr Lanzer was one of the first cosmetic surgeons to receive official training in Vaser liposuction, training provided by the specialist who developed this method in South America and Australia. Therefore, patients who visit our clinic for the treatment are in very capable hands. What Is the Treatment Goal of the Vaser Liposculpture Technique? The procedure of Vaser liposculpture/liposuction involves sculpturing around the muscles of a patient; this to enhance the muscular and athletic look. It is particularly performed in men to develop the 4 or 6-pack. 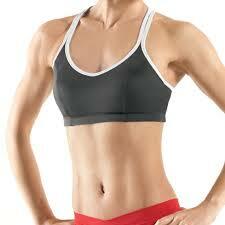 It is also performed in women to develop the athletic groove along the sides of the abdomen. Some women also occasionally do want a muscular 6-pack as well, on the side of the front of the stomach, where the 6-pack muscle was developed on the upper stomach, above the umbilicus. The procedure also aims to develop a more prominent edge for the abdomen muscle, which runs down the sides of the front of the stomach. It may also enhance the chest, which is called the pec muscle, and can also be used to remove fat from the flanks; this fat is also referred to as the love handles. Dr Lanzer does use the high-definition liposculpture in other areas such as the lower back to enhance the curvature of the buttock as part of the Brazilian buttock lift. He also performs the procedure along the outer arms to highlight muscles such as the triceps. What Method Does Dr Lanzer Use to Execute Vaser Liposculpture? Dr Lanzer has changed and modified the technique he learned overseas using his 20+ years of experience with liposculpture. He believes his own technique has enhanced the results and sped up the healing process. In America, the general advice given to patients from his training was that patients will only start to see the 6-pack effect after 4 months. In Dr Lanzer’s hands, patients can often see the 6-pack immediately and once the bruising has gone down, it is visible. Dr Lanzer also uses a specific device called the MicroAire; this is a vibrating cannula that allows the fat to be sucked out a little more easily. It is very effective in male liposculpture. The procedure can be performed under local anaesthetic or general anaesthetic. The choice of anaesthetic is determined by Dr Lanzer and agreed upon with the patient. It can be dependent on factors such as the size of the treatment area and the patient’s anxiety levels. Where Is Vaser Liposculpture Performed? Vaser liposculpture is always performed in a fully registered day surgery centre. Dr Lanzer has his own registered and highly accredited centre in Melbourne. Patients travel from interstate and overseas to have the procedure done in his centre. Dr Lanzer does provide post-operative aftercare places for patients to stay and can arrange appropriate transport if requested or required by the patient in question. An increasingly large amount of patients now opt for Vaser Liposuction procedures. During the procedure, Dr Lanzer is constantly monitoring how the fat is coming and is feeling with his contralateral hand as to how much fat is being removed and where he wants it to be removed from. If you’re looking for a liposuction procedure, get a free consultation at Vaser Liposuction clinic with Dr Lanzer. What to Expect During a Vaser Liposculpture Treatment? The treatment starts with the initial assessment. Dr Lanzer will give a pre-consultation, where he will mark out the areas that he wishes to treat. Dr Lanzer does show these areas to the patient to make sure that it meets their satisfaction. At that time, Dr Lanzer actually has patients sign that they are happy with the areas that are being done. Following that, photographs are taken, which remain on the patient’s file to allow the patient to look back at those photos at a different time. Photographs are never used publicly unless patients give both written and oral consent. On the day of the procedure, the patient will then be given either a light anaesthetic such as Pethidine and Halcion tablets if they are going to be awake or will meet with a specialist anaesthetist and have the general anaesthetic under his care. The fat is initially infiltrated with a dilute local anaesthetic called the Kline solution; this numbs, softens, and prepares the fat. It is a very important part of the procedure. When done properly, there will be no bleeding of any significance. In all the years that Dr Lanzer has been performing liposuction, which spans over more than two decades, he did not have to give a patient a blood transfusion on one occasion. Dr Lanzer will allow the anaesthetic to work and commence the sculpturing. He removes fat at different layers, levels, and vectors. It is a very artistic procedure. The results will be determined by how he visualises the fat and the outcome. What Is Done Post-Procedure to Promote Healing? When the procedure is finished, the padding is applied onto the skin by the nurses and an appropriate compression garment is worn. Dr Lanzer also likes to use a specialised foam garment, which reduces swelling and reduces the risk of seroma, a condition where fluid can collect. All procedures have a risk of bruising, swelling, and infection. Dr Lanzer gives all patients pre-operative antibiotics and antiseptics to reduce the risk of infection. Dr Lanzer has not seen one case of a true bacterial infection in a patient who had this procedure. Dr Lanzer stresses that it is important to read the consent forms in full as all surgeries have potential risks. Thankfully, they are not common, but patients need to be fully aware. Dr Lanzer is very thorough and he will make sure that patients speak to both him and his nurse pre-operatively and read all the appropriate forms. The full results can take 3-6 months and occasionally longer until all the final bruising and deep fibrosis does soften and settle. Sometime, Dr Lanzer does recommend post-operative therapy such as VelaShape to help tighten the skin and reduce some of the deep bruising.